At first, you have to enable media library sharing on your Win Media Player, ver. 11 or higher. It’s clear, that you have to have working LAN or WLAN connection with your PC to want to share with . 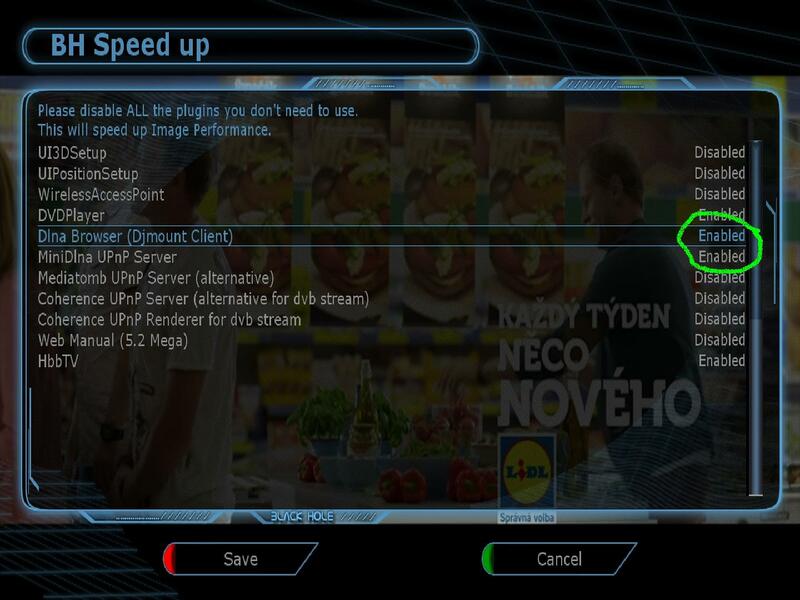 Next go to BH SpeedUp (Blue>Blue>BH SpeedUp) and enable Dlna Browser and MiniDlna UpnP Server. Leave other (Mediatomb and Coherence) disabled. 3) Share all this with other devices in your home that support DLNA system.